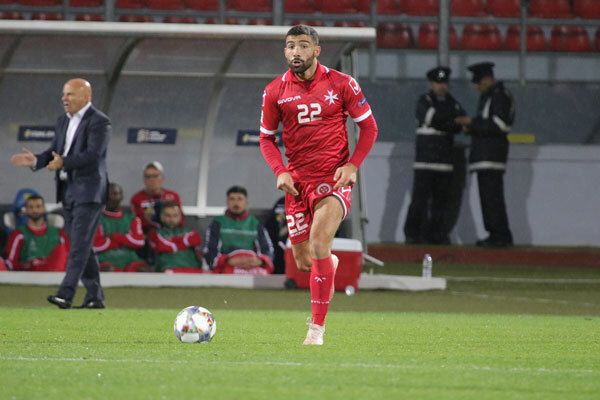 Defenders Andrei Agius and Steve Borg are back in the frame for Malta’s final UEFA Nations League Group D3 match against Faroe Islands at the National Stadium on Tuesday, kick-off at 20:45. Agius and Borg missed the 5-0 defeat to Kosovo on Saturday due to suspension but both are in line to return against the Faroe Islands. Striker Alfred Effiong, a second-half substitute for Juan Carlos Corbalan in Saturday’s match against Kosovo, will miss Tuesday’s game as he must serve a one-match ban after collecting his second yellow card in the competition. Winger Luke Gambin has returned to his club Crawley Town ahead of their FA Cup replay against Southend United on Tuesday while Steve Pisani is not part of the final squad for Tuesday’s game. Andrei Agius (Hibernians); Ferdinando Apap (Victoria Hotspurs); Steve Borg (Valletta); Ryan Camilleri (Valletta); Jonathan Caruana (Valletta); Clayton Failla (Floriana); Joseph Mbong (Hibernians); Zach Muscat (US Pistoiese, Italy); Joseph Zerafa (Valletta). Roderick Briffa (Gżira United); Juan Corbalan (Gżira United); Paul Fenech (Birkirkara); Jake Grech (Birkirkara); Bjorn Kristensen (Hibernians); Rowen Muscat (Valletta); Dunstan Vella (Hibernians). Andrew Cohen (Gżira United); Michael Mifsud (Birkirkara); Kyrian Nwoko (Valletta); Andrè Schembri (Apollon Limassol, Cyprus). what year or date, you all open your minds, just to play good players in the ground, we never get a win ,when we have 6 players against 11. you always looking fowrd to loose.